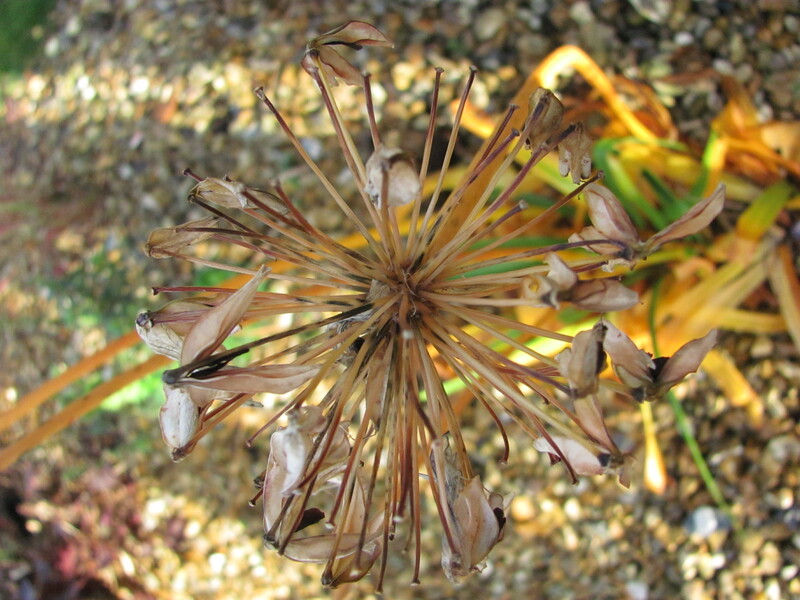 Agapanthus – a plant for winter? On my early morning wander down to feed the chucks today I was accompanied by the usual Robin who followed me, flying from post to post down the fence line stopping off to treat me to a burst of his gentle transparent winter song. He does this every day except when the rain is torrential when he never shows. If I take the grass path past the slate bed, the Secret Garden and the Chicken bed he takes the fence route, but if I take the concrete central path he flies along the cordon pears and plums stopping to sing on each tree. Today was different for I had the added benefit of the first song this winter from the Song Thrush. The first signs of true territorial song mapping out his patch and letting others know. Sadly recently he just sings for us for there seem few rival males to want his territory. Here in Plealey we seem to have far more Mistle Thrushes than Song Thrushes. As usual I wandered around the garden to see what was happening and today felt warmer so a slow aimless wander was on the cards. 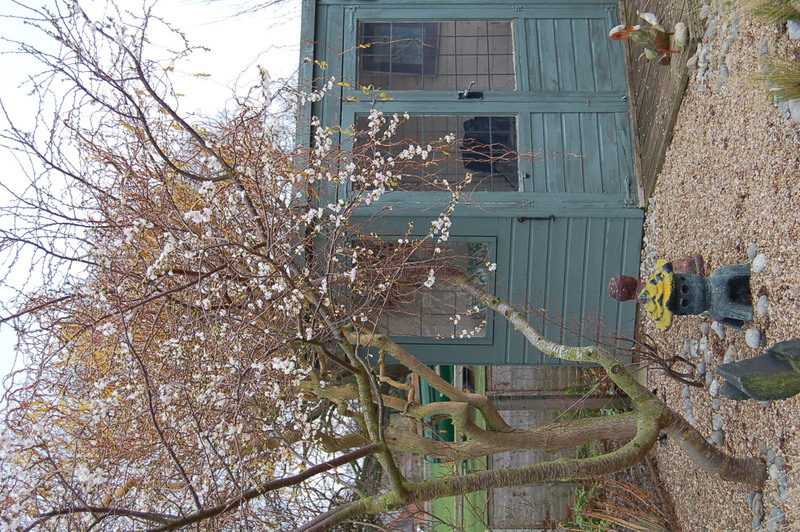 I was impressed by the Prunus subhirtella autumnalis, the centre piece of our little Japanese Garden, which is littered with its delicate white blooms. 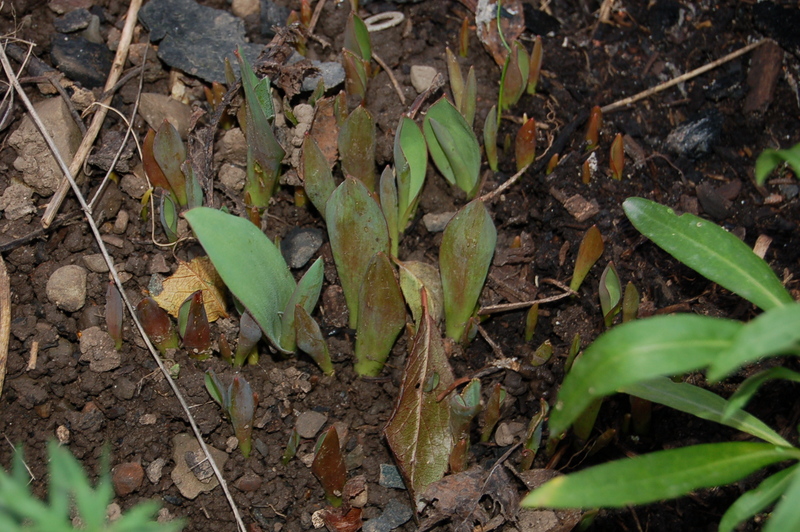 And at last new spears of bulb leaves have made their way to the surface to show us their intent. 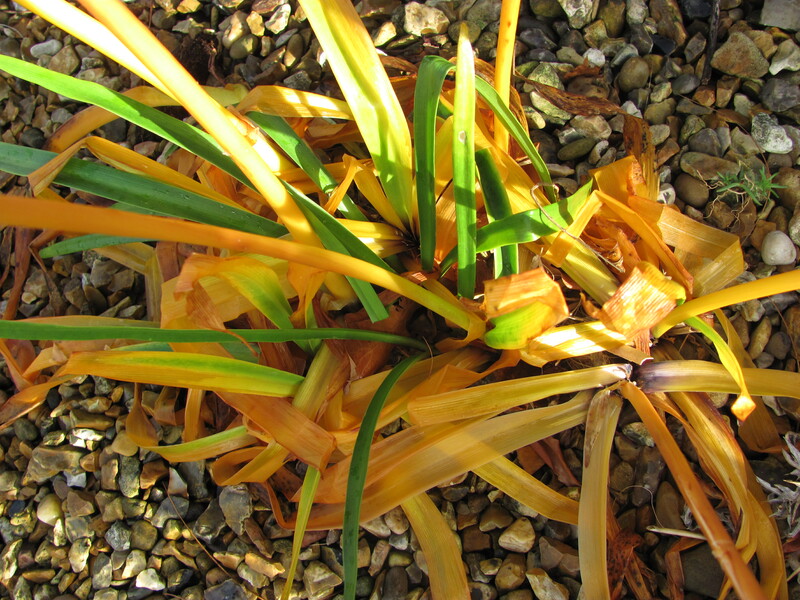 But a plant that struck me as an unusual “winter interest” plant was the Agapanthus. Now in December it is still giving interest on our “Chatto Garden”, but not blue this time but the absolute opposite – a rich yellow. The foliage and stems are yellow and the seed heads are like delicate sculptures. 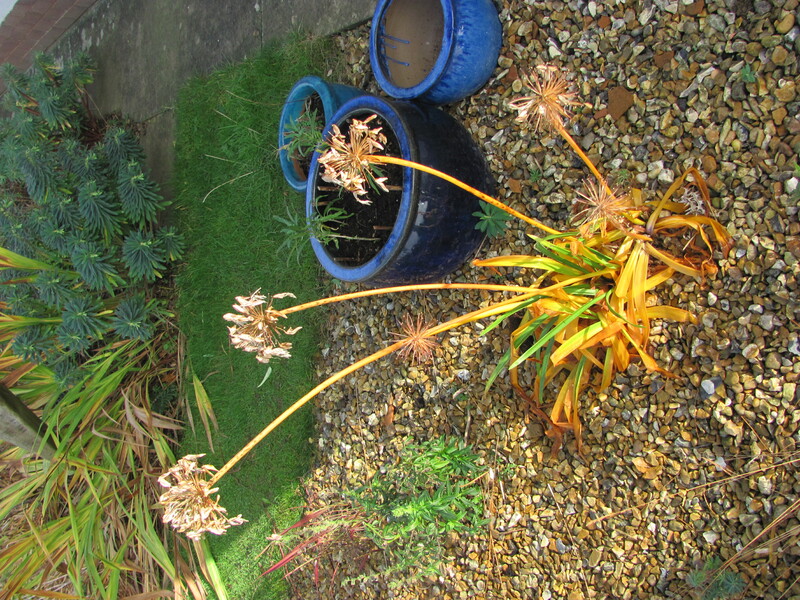 Until now I had not considered the Agapanthus to be a plant for winter interest. They always say that a good gardener is one who never stops learning! This entry was posted in birds, garden wildlife, gardening, hardy perennials, trees, wildlife and tagged agapanthus, autumn cherry, robin, thrushes, winter gardens. Bookmark the permalink.